If you ask an older person what they are afraid of, many (if not most) will tell you that developing Alzheimer’s or dementia ranks highest on their list. Losing cognitive function due to old age or illness is sometimes unavoidable, but it is not always inevitable. Scientific evidence shows we can significantly increase our chances of staying mentally healthy as we grow older. Physical exercise, proper nutrition, social interactions and mental stimulation are all important factors in keeping our brains sharp and alert. Building brain reserves – our brain’s ability to generate new connections – for extra capacity helps our minds function as we age. Seniors in nursing homes or assisted living facilities have limited opportunities to engage in mentally stimulating activities. Elderly ones who are able to remain at home with the help of a quality homecare system, such as ClearCare, are in a much better position to enjoy mentally engaging activities. Using ClearCare’s homecare system and homecare software to track the positive effects from engaging in fun activities will be encouraging to family members. Relatives who have access to ClearCare’s homecare software can view the daily activities of their loved one through the internet or any mobile device. Studies also suggest that regularly engaging in mentally stimulating activities reduces the risk of tripping and falling. 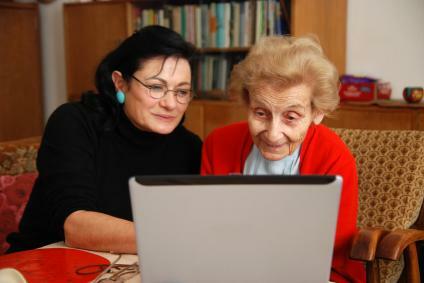 Caregivers can make notes in ClearCare’s homecare software about which internet game sites the senior enjoys, as well as his log in and password. A reliable homecare system like ClearCare is invaluable when it comes to tracking and storing important information. Keeping our mind sharp as we age is just as important as feeding our body nutritious food and staying physically active. Family members and caregivers must be sure to promote the benefits of engaging in mentally stimulating activities and help seniors get into a good routine. ClearCare’s homecare system and homecare software will aid home caregivers every step of the way.